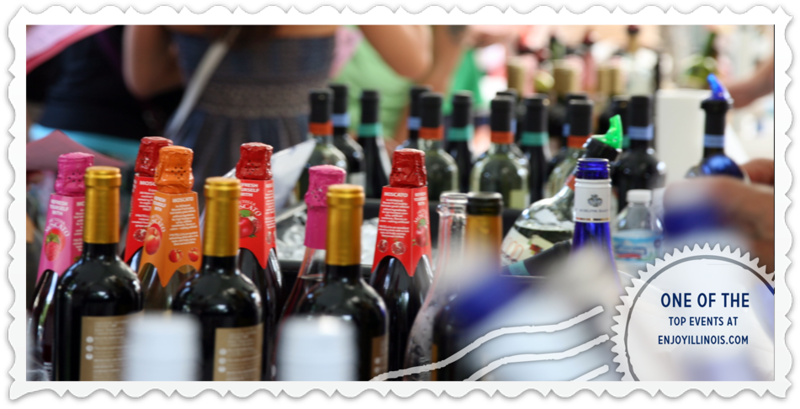 Flavor Fare Hours: Fri & Sat.11 a.m. - 10 p.m..; Sun.11 a.m. - 5 p.m.
Each ticket is $1 (cash and credit accepted); Wine cost 5 – 16 tickets per glass. Crisp and satisfying, with tempting peachy flavors and an appealing texture that balances tanginess and richness. A true California Chardonnay with aromas of apple and pear, leading to a rich, toasty finish. Lively and aromatic, this effervescent sweet white wine offers appealing citrus and peach notes with pretty floral aromas. Bright and crisp, fresh strawberry and melon flavors highlight this semi-sweet blush wine. Full-bodied flavors of plums, cherries and chocolate dominate from start to finish. Soft, supple and complex, with beautifully integrated tannins. Hints of cedar and oak, with layers of raspberry, plum, and mocha. Smooth tannins with big fruit flavors and a toasty finish. A bold red blended with natural citrus and refreshing fruit flavors of orange, lemon, lime, and cherry. Enjoy chilled or over ice! From New Zealand, this popular white wine delivers delicious tropical fruit flavors, balanced by mouth-watering acidity and a fresh, zesty, lingering finish. Hailing from Washington State, this lightly-oaked Chardonnay has minimal barrel influence, which allows the clean, fruit flavors to shine through. Soft and refreshing, this dry Washington State rose features a silky palate with perfume aromas that give way to lilac, tangerine, and passionfruit. Made from 100% Pinot Gris. Soft and refreshing, this dry Rose entices with rich hints of watermelon and strawberry. A sparkling white wine from northeastern Italy, its fine bubbles caress the palate, while intense flavors of apples and peaches give the wine a pleasing finish. An upscale take on sparkling Moscato with pleasantly fragrant notes of peach and orange blossoms. It pairs particularly well with almost all types of food, especially dessert. Crisp acidity and elegant bubbles, this slightly sweet sparkler offers refreshing flavors of strawberry and raspberry that linger through the finish. A collaboration with musician Dave Matthews, this approachable California Pinot Noir highlights flavors and aromas of ripe cherry, wild strawberry, and caramel. Very versatile with food. A rich and lively red with exotic spiced cherry aromas and tangy raspberry fruit flavors. This red celebrates the seven phases of the moon by combining seven grape varietals sourced from throughout California. Flavors of strawberry preserves, cherry cola, and milk chocolate follow through to a smooth finish. From rocker turned rock star winemaker Charles Smith, this punky Washington red eschews tradition with its deep flavors of chocolate, dark cherries, and tobacco, all firmly supported by a soft tannic backbone. The Snitch Chardonnay by The Prisoner Wine Co.
Debuting with this inaugural release, this bombastic Chardonnay from Oak Knoll and Carneros is bright and rich with notes of apple, pear and even tropical fruit. Sourcing as well from the central coast like its famous Pinot Noir counterpart, this dry rose features the California rose trademarks with its lush mouthfeel, flavors of stone fruit and strawberry, and a cool minerality on the finish. Very popular for its unique structure and depth unseen before in Pinot Noir, this California red has supple tannins, silky texture, and balanced acidity that make it pair well with a variety of food. Predominantly Sangiovese, this Tuscan red shows an outstanding elegance, characterized by notes of cherries, wild berries and plums. Hand harvested and aged for 24 months in barrel before bottling. This classic Napa Cabernet Sauvignon is rich and full on the palate with a supple mouthfeel and opulent layers of plum, cherry, anise, and mocha. Aged three months in Bourbon whiskey barrels, this complex red blend drinks like a port while a faint smokiness from the whiskey barrels permeates the palate. Would go well with a rich dessert like chocolate. Unlike its simplistic label, this blend of top tier Zinfandel plots is voluptuous and immense, with soft, velvety tannins. Enjoy one with BBQ! Persistent flavors of ripe raspberry, boysenberry, pomegranate and vanilla linger harmoniously. This eclectic crowd pleaser has found a following among those wanting fruit-forward and jammy wines with a strong structure. A new project from the winemaker at Robert Mondavi Winery, this Napa cabernet sources from high elevation vineyard blocks throughout the Valley, culminating in rich texture, soft tannins, and fitting acidity.